ROCHESTER -- U.S. Attorney James P. Kennedy, Jr. announced today that Adam C. McFadden pleaded guilty to wire fraud and filing a false tax return before U.S. District Judge Elizabeth A. Wolford. The charges carry a maximum penalty of 20 years in prison and a $250,000 fine. Assistant U.S. Attorney Richard A. Resnick, who is handling the case, stated that McFadden was a member of the Rochester City Council, while co-defendant George H. Moses is the former Chairman of the Board of Commissioners of the Rochester Housing Authority (RHA), which provides housing opportunities and services for the Rochester community and a board member of the Rochester Housing Charities (RHC), an entity that was formed and created to advance the purposes of RHA. Prior to May 12, 2015, McFadden contacted Capital Connection Partners LLC (CCP), an alleged consulting firm in Washington D.C., to discuss RHC hiring CCP to provide RHC with various services. McFadden advised CCP that he would provide most of the services required by RHC as a subcontractor and that he wanted CCP to act merely as a pass through, meaning, he wanted CCP to pay to him most of the funds CCP received from any future contract with Rochester Housing Charities. McFadden discussed this arrangement with co-defendant George Moses. On May 15, 2015, McFadden emailed CCP a draft of the contract he wanted CCP to enter with RHC along with a draft of the pass-through agreement he wanted to enter into with CCP. On May 28, 2015, McFadden emailed these drafts to George Moses as well. On June 19, 2015, McFadden created minutes of an RHC board meeting held on May 12, 2015. The minutes falsely stated: that RHC had contacted three vendors by telephone; that a Request for Qualifications was sent to the three vendors; that the three vendors provided bid proposals containing amounts; and that RHC selected CCP as the winning bidder. On July 7, 2015, RHC entered into a one-year $87,500.00 contract with CCP. On July 8, 2015, the defendant, on behalf of his company, Caesar Development LLC, executed a contract with CCP entitled the Pass Through Funding and Services Agreement, which provided that CCP would pass through 75% of the funds it received from RHC to Caesar Development LLC. On August 3, 2015, the RHA, on behalf of RHC, wire transferred a first installment payment of $43,750.00 from Rochester to CCP in Washington, D.C. On August 8, 2015, CCP paid $32,812.50 to Caesar Development LLC in Rochester, which represented 75% of the funds CCP received under the terms of its contract with RHC. On December 18, 2015, McFadden prepared and emailed to CCP inserts which were to be placed on a revised CCP invoice that was to be sent to the RHC. Those inserts falsely alleged that CCP had performed certain services under the contract. Specifically, the inserts falsely alleged or grossly exaggerated that CCP had, among other things, provided the following services: prepared and submitted multiple grants for local funding; researched laundry business development; researched summer and after-school program development for school aged children; provided administrative support to RHC for nine months; and created a partnership with The Roberts Companies to manage cell lease buyout negotiations. A revised invoice containing the inserts was sent to RHC, and as a result, RHC, on December 24, 2015, transferred the final installment payment totaling $43,750.00 from Rochester to CCP in Washington, D.C. On December 26, 2015, CCP wire transferred $32,812.50 from Washington, D.C. to Caesar Development LLC, which represented 75% of the funds CCP received under the terms of the contract between RHC and CCP. In addition for the tax years 2015 through 2017, McFadden provided false information on his personal tax returns. McFadden reported false deductions, including personal expenses, on his Schedule C, which falsely reduced his taxable income. For example, McFadden reported rent expense as deductions on each return when in fact he had not paid rent. The reduction in the defendant’s taxable income resulted in the approximate tax loss of $46,865. Charges remain pending against co-defendant George H. Moses. The fact that a defendant has been charged with a crime is merely an accusation and the defendant is presumed innocent until and unless proven guilty. The plea is the result of an investigation by the Federal Bureau of Investigation, under the direction of Special Agent-in-Charge Gary Loeffert; the Department of Housing and Urban Development, Office of Inspector General, under the direction of Special Agent-in-Charge Brad Geary; and the Internal Revenue Service, Criminal Investigations Division, under the direction of Jonathan D. Larsen, Acting Special Agent-in-Charge, New York Field Office. 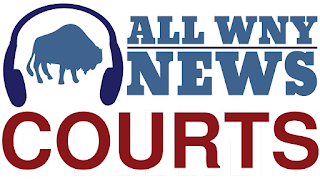 Sentencing is scheduled for June 27, 2019, at 3:00 p.m. before Judge Wolford.